Long title, seriously good pasta. 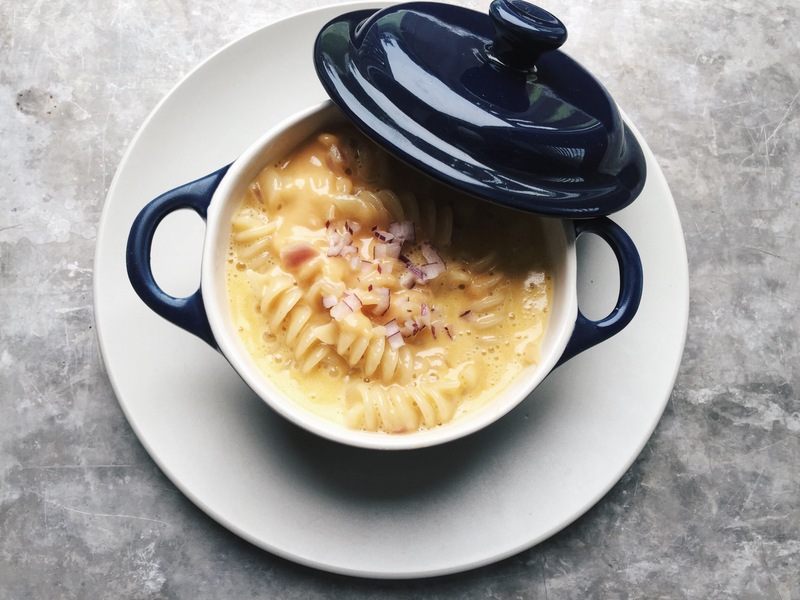 This macaroni and cheese is another stop on the long and everlasting journey toward finding as many wonderful and decadent macaroni and cheese recipes as possible. Notice I said everlasting because I don’t intend to stop sampling delicious macaroni and cheese. There are just so many versions and variations out there and it would be a shame to miss out on one just because I think I’ve found the ultimate. That being said, I think I’ve found the ultimate. Ultimate one pan macaroni and cheese that features beer, that is. Beer and cheese are such natural partners that when I saw a cool recipe for one pan macaroni and cheese I had to try it with beer. I wasn’t disappointed and I hope you won’t be either. It is creamy, cheesy, flavorful, and it doesn’t require a roux, a bechamel, or a lot of time. And I really love that it only needs one pan because less dishes = more time for things more fun than washing dishes. Give this one a try next time you have a craving for homemade macaroni and cheese. Or any macaroni and cheese. I don’t think you’ll be disappointed. Place a medium skillet over medium heat. Melt butter, then add red onion. Cook until softened, but not brown, about 3 minutes. Add the pasta and 1/2 cup of the chicken broth. Stir to combine. Let simmer until the broth is absorbed, then add the 1/4 cup beer. Cook until the pasta is al dente, adding the remaining chicken broth, the pinch of mustard powder and the pinch of nutmeg when the beer is almost all absorbed. Add in the cheeses, stir, and once they are melted, stir in the cream to finish. Serve immediately, sprinkled with a little cracked black pepper. So good. *Inspired by Frankie Celenza’s recipe via Tastemade. WOW! What a decadent Mac and Cheese. Really curious to know how it pairs with mac and cheese . Saving to try for later. Thanks for sharing. Thanks, Lynn! It is so good! Yum! 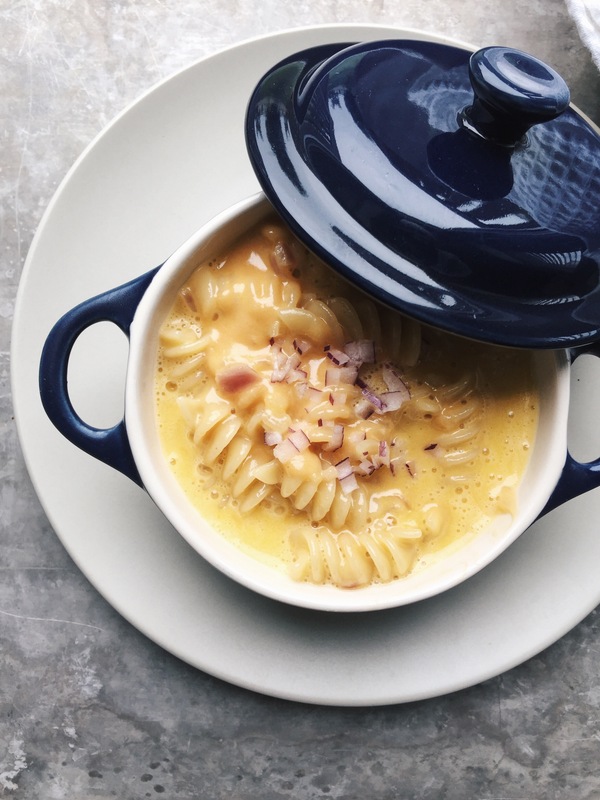 I love mac and cheese and I am excited about this grown up version! It is definitely delicious! I hope you’ll give it a try! Looks so velvety smooth and creamy. I want a bowl of it right now! Thanks! Me too! It was delicious! Is this the ultimate comfort food? Such a great dish to come home to. Oh man I’m salivating reading this. The creaminess of this dish looks to die for! It is so cheesy and creamy! So yummy! Oh yum! I’m totally on board with this! Yay! It is so good! OMG this looks INCREDIBLE!!! I want this in my belly now! Thank you! It was stand over the pan and eat it directly with a spoon delicious! This is definitely happy belly food! Oh man that’s so great! I would never have thought of using the beer in it but it seems like it worked out so well! Plus you can’t go wrong with a one pan meal! Aren’t one pan meals the best? The beer worked so well that I wish I’d tried it sooner! Oh my heavens! This looks like the ultimate comfort food…. like lick the bowl good! Yes! Licking the bowl is the perfect thing to do! This cheesy goodness is not to be wasted! I think this is the ultimate! Wow, it looks so good!